"Through the teardown of the battery and drivetrain, we saw numerous advancements and innovations within the Model 3," the firm said. "The technology in the battery pack appears to be ahead of all current production EVs and the BMS operates within tolerances not seen in others. The focus on modularity and compact design also suggests potential for automated production…. More importantly, the overall performance is superior with much better power, torque, and acceleration." 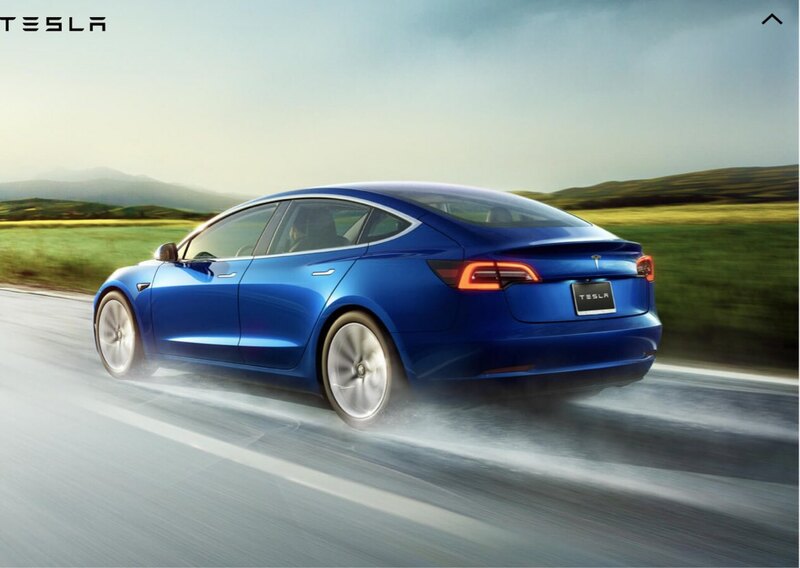 According to the UBS Evidence Lab, compared to the BMW i3 with MSRP USD $44.450, and the Chevy Volt with MSRP USD $36,000, both with no incentives, the decisive winner was the Tesla Model 3 in the present most inexpensive variant, which is the current one on the website in RWD at USD $49,000. What had the research team most concerned, however, was the proposed $35,000 Single Battery Pack and RWD Motor variant that Tesla is looking to sell as soon as January, according to CEO Elon Musk’s tweet several days ago. Although it would be an addition to their luxury car model range, the car started with the premise of being Tesla’s first mass produced affordable car with tax credit or incentives for the working class and those who can barely afford a car, let alone an electric. Although the federal incentives are diminishing, Musk has not given up hope that this car and its upcoming CUV variant Model Y will have an affordable version sometime ready for production. But the problem is that Tesla needs the Model 3 to solve its severe cash burn at about $4 billion USD per year with the many production mistakes they made with the car the past year, that may possibly find themselves in bankruptcy. Instead of selling the cheapest car first which apparently was the idea or plan, because of the debt crisis they now need to sell their most expensive variants first, and as many as they can through the second quarter 2019. On March 3, 2019 Tesla has debt interest payment due at nearly $1 billion USD. Tesla’s total debt is about $11 billion USD, a big chunk of that in junk bonds. And this is all a backdrop to apparent problems in Mr. Musk’s personal life capped with a bombshell tweet a few weeks ago about the company going private in a leveraged $24 billion USD buyout without telling Tesla’s board, and an inflammatory emotional interview a few days earlier with the New York Times, both events jolting the markets, and sending Tesla stock into a nearly 9% 30 point nosedive currently at $305 USD/share, the lowest in two years. UBS is telling Tesla and UBS investors specifically, that if they sell the Base the way they want, they’re going to lose money: "The Model 3 we disassembled was $49,000 which included the 75 kWh battery (+$9,000) and the high end trim (+$5,000)," UBS said. "We estimate this model has a factory variable margin of ~29%, a gross margin of ~18%, and an operating margin of ~7%. However, the incremental margins on the options are high. We assume the base version at $35,000 would lose about $5,900 per car." Since this report was presented to UBS investors a few days before this writing there have been several developments to both the car and the company which could be the basis to change the UBS evaluation. Several days prior to this UBS news, Tesla announced that the had developed new battery technology that makes a battery cell and thus a pack smaller, lighter, and more efficient. The lighter weight means longer charger ranges and more importantly, a lower price. Mr. Musk was looking to put these new packs into their cars as soon as the first quarter of the new year. And if Musk’s assessment is close to accurate, this would make the possibility of assembling the Cheap 3 even more likely. So some are already saying that the data that UBS is using to make their assessments about the Model 3 are already outdated, and the prudent course is to wait until Tesla is ready to actually produce a low cost variant with the materials gathered and costs assessed then. Also, it is expected that Tesla at the least would be making less profit per unit on a base Model. That is one of the reasons Tesla needs to increase output to 10,000 vehicles per week, to mitigate any profit loss on a base model. And waiting to assess an actual cost per unit of the newly announced battery pack, which is one of the major costs of the vehicle itself, will then give Tesla a bigger picture of where their true production costs are to sell a base model. Stay tuned to Torque News’ continuing coverage of the unfolding drama of the Tesla Corporation. To get a comprehensive report from the beginning of Tweet-gate and the buyout, click here . For coverage on the New York Times interview and the 30 point stock nosedive, click here. Let us know how you feel about all of this down below!